Just a few miles off Interstate 5, somewhere between Los Angeles and Sacramento, you can find the town of Coalinga. Fortunately or unfortunately bypassed by the big freeway, charming Coalinga maintains a humble and historical character, its economy largely driven by agribusiness and prisons. 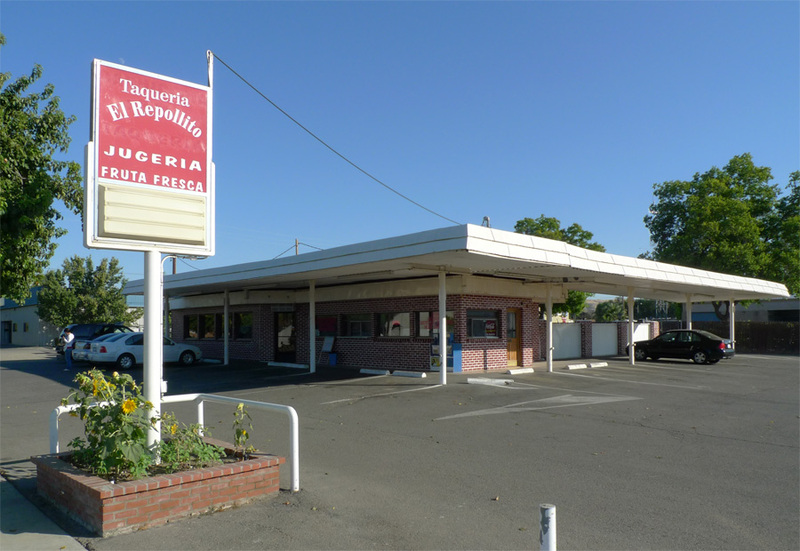 Taquería el Repollito, in the middle of town, makes a fine place to stop for some road trip tacos. Carmen and I stopped off in the midst of taking the scenic route home from San Jose. 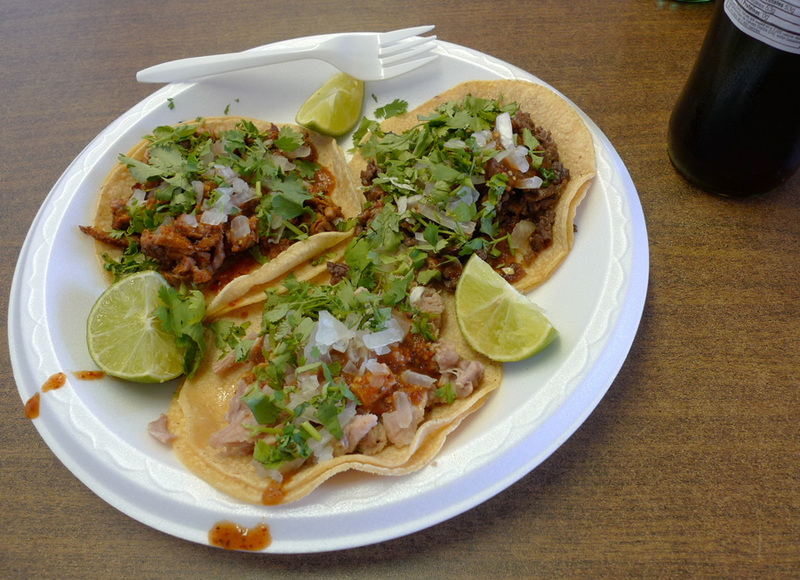 I had one each of the carne asada, al pastor, and carnitas tacos. The tacos ordinarily come with cabbage, which I asked them to hold, but now that I know that “el repollito” means “little cabbage,” I wonder if I made the wrong decision asking them to hold their namesake component. They were all very good, and big in size. I appreciate the vaguely informal style of the building – it reads as a rectangle with a ramada-like canopy erected as an afterthought. The canopy’s structure is rather crude, but in an appropriately agricultural way, meeting one’s expectations of what to encounter on the Open Road in the American West.